Using the phrase “no fault of their own” in discussing undocumented young people does not encourage us to look at the roots of the poverty and violence their families experience. Blaming undocumented youths' parents avoids assigning responsibility for their displacement and migration beyond the families themselves. The phrase “no fault of their own” sounds sympathetic. Using it to justify halting deportations implies good intentions towards at least some young people without papers. Yet the idea has other troubling implications as well. If young people came here “through no fault of their own,” then whose fault was it? Denham and Obama both say, “by their parents [and guardians].” Mothers and fathers made the decision to cross the border without papers. Therefore the parents are responsible for their children's lack of legal immigration status. The fault is the parents'. This is also the argument presented by the administration to justify building two new detention centers in Texas to hold mothers and children from Central America. Two summers ago the President warned parents in Guatemala and El Salvador that they were endangering their children by bringing them north. Don't come, he said. If you do, you will be detained and deported. Of course, people came despite the warning. The pressures to leave home are much more powerful than even the certain knowledge that imprisonment in a detention center awaits them once they cross the border. Immigrant children do not come to the United States because their parents are negligent. They come because poverty and violence make survival difficult and dangerous in their communities of origin. Many are joining family members who are already here, having fled Central American civil wars or having come to find work and establish a base for reuniting divided families. The phrase “no fault of their own” does not encourage us to look at the roots of the poverty and violence these families experience. It especially avoids assigning responsibility for their displacement and migration beyond the families themselves. Yet individual families together make up huge movements of people responding to economic changes over which they have no control. After the North American Free Trade Agreement (NAFTA) went into effect, for instance, the number of Mexican migrants in the U.S. went from 4.5 to 12.5 million in 20 years. The new immigrants were farmers driven off the land after being undercut by cheap U.S.-subsidized corn flooding the Mexican market, or workers suddenly jobless after waves of privatization. Like Renata Teodoro's father, once they arrived in the United States, they made up the backbone workforce sustaining agriculture, meatpacking, janitorial services and other industries, laboring at the lowest wages. The companies that dumped the corn in Oaxaca, and those that paid illegally low wages to Oaxacan farmers to pick strawberries in Watsonville, certainly share some of the “fault.” And they definitely reaped most of the benefits. But when Obama and Denham say children came through “no fault of their own,” they are not pointing at the profiteers who benefit from this immigration, much less at the treaties and policies that make displacement and exploitation possible and profitable. Dreams Deported presents migrants as social actors, as resistors rather than victims. The phrase “no fault of their own” casts young people as innocent victims of their parents' actions. The reality is that the young people who have built the movement of the DREAMers, fighting for the right to go to school, for legal status and for change in immigration policy, are anything but victims. The book recounts the family experiences of migration, life in the U.S., and then the shock of confrontation with immigration authorities leading to deportation. Then it tells stories of resistance, documenting the ways young people pioneered a movement that successfully rescued family and friends from jails and detention centers. 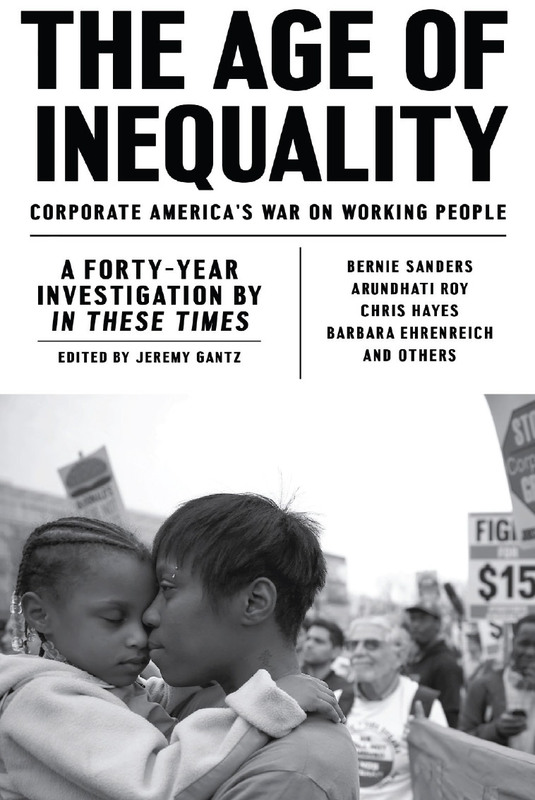 This is the third book in a series produced by activists in the Dreamers movement, published by the UCLA Center for Labor Research and Education. The first, Underground Undergrads, was published in 2008, when the possibility of immigration reform with some degree of legalization seemed possible to many people. It was a “coming out” moment, in which the first of the movement's organizers sought to make visible a generation of undocumented young people who were beginning to assert their rights. 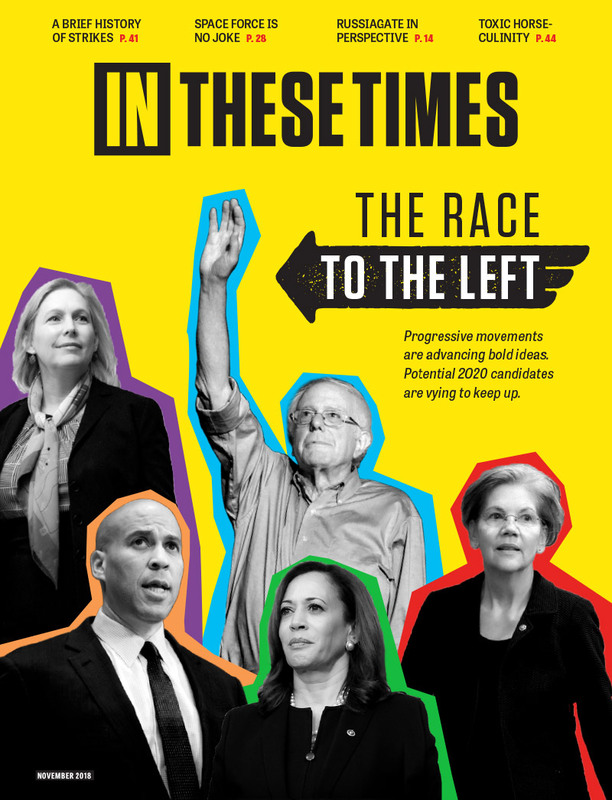 It was followed four years later by Undocumented and Unafraid, which profiled the growing movement in the wake of the huge effort to pass the DREAM Act. Now Dreams Deported chronicles the difficult struggle against deportations. First introduced in 2003, the DREAM Act would have allowed undocumented students graduating from a U.S. high school to apply for permanent residence if they completed two years of college or served two years in the U.S. military. The act would have enabled an estimate 800,000-plus young people to gain legal status and eventual citizenship. In 2010 the Act failed in Congress, but for the seven years before that, undocumented young people marched, sat-in, wrote letters and mastered every civil rights tactic in the book to get their bill onto the Washington DC agenda. Many of them gave new meaning to “coming out,” declaring openly their lack of legal immigration status in media interviews—and defying authorities to detain them. Three were arrested in 2010 when they sat-in at the office of Arizona Senator John McCain, demanding that he support the bill while defying immigration authorities to come get them. They were arrested and held in detention overnight. The following morning a judge recognized the obvious: These were not “aliens” who might flee if they were released from detention, but political activists who were doing their best not only to stay in the country, but to do so as visibly as possible. 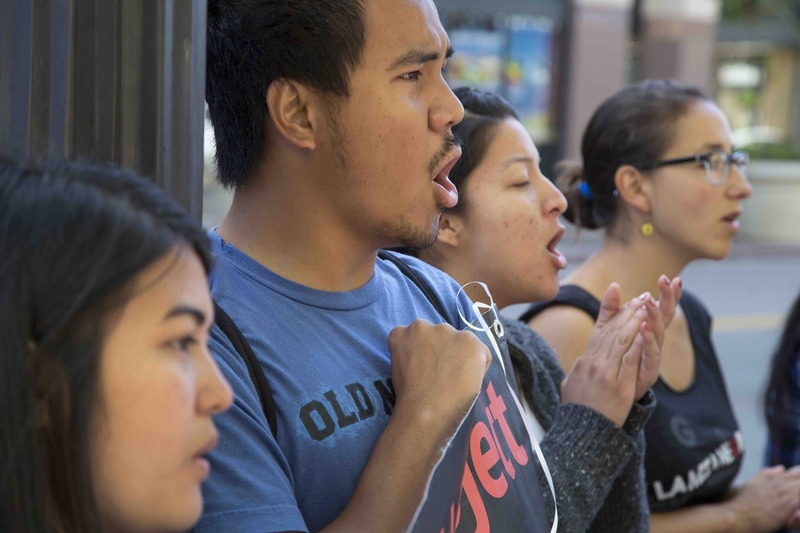 DREAM Act campaigners did more than try to get a vote in Washington. They used their activism to stop deportations, in an era that has seen 400,000 people deported each year from 2009 to 2014. By stopping deportations even in the absence of Congressional action, DREAM Activists made possible what political insiders held to be impossible: showing that people in the streets can change the conditions in their own communities. Congress and Washington’s political class can be forced to respond to social movements outside the capitol. Dreams Deported tells some of the stories of how they did it. 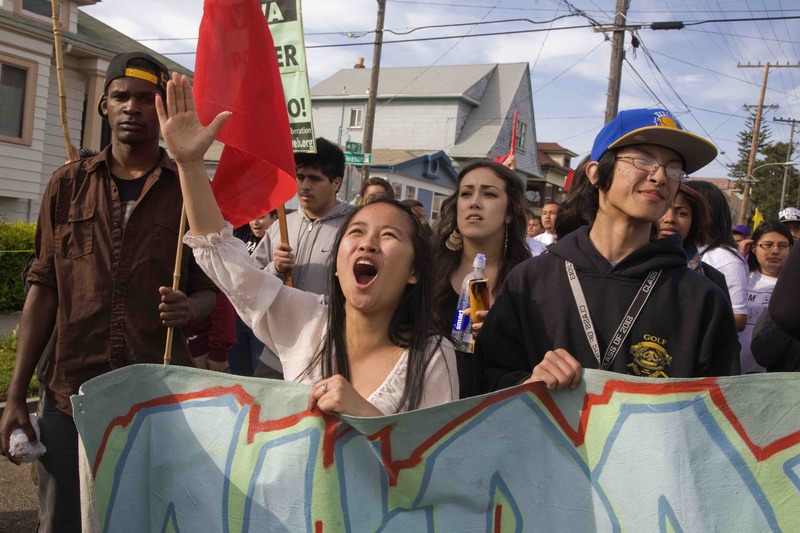 In San Francisco, activists won freedom for Shing Ma “Steve” Li, a nursing student at City College of San Francisco. Immigration authorities detained him in 2010, igniting a lightening effort to stop his deportation. Li's parents had emigrated from China to Peru, where Li was born. They later came to the U.S., where their petition for political asylum was denied. That made Li an undocumented immigrant, although as he went through San Francisco public schools, he had no knowledge of his status. As the net of immigration enforcement was cast more widely than ever, Li and his mother were arrested. She was bailed out of detention, but Steve Li was shipped to a detention center in Florence, Arizona. From there he would have been flown to Peru, where he has no relatives or family connections at all. The case became a cause celebre for the Asian Law Caucus, the Chinese Progressive Association and other organizations in the city's Asian community. The San Francisco Board of Supervisors and the city college Board of Trustees both passed resolutions opposing the deportation. Finally, Senator Diane Feinstein introduced a private bill to grant Li permanent residence status. Li was then freed by ICE, and returned to San Francisco. Steve Li became one of the founders of ASPIRE, a San Francisco organization of undocumented Asian youth. Another member, Ju Hong, spoke out during a press conference held by President Obama, in which Asian young people were placed behind him to give a (silent) image of youthful support for administration immigration proposals. Hong did not remain silent, calling out to the President to stop deportations. “There are thousands of people, undocumented immigrants, families that are being torn apart every single day,” Hong shouted out. “Please use your executive order to halt the deportations for all 11.5 million undocumented immigrants right now!” To his credit, the President stopped his security detail from throwing the young people out, but nevertheless claimed he could not act on his own. His own actions later showed that claim to be false. Dreams Deported recounts other examples. Undocumented activists in the California Immigrant Youth Justice Alliance chained themselves to ladders, blocking the entrance to the Los Angeles Metropolitan Detention Center. Other undocumented youth went to the U.S./Mexico border, crossed it to meet their families, and then demanded the right to return to their homes in the United States. Ericka Andiola, whose activism propelled her into a job in a congressional office in Washington, D.C., used her organizing skills to pry her mother loose from detention in Arizona. There were other victories as well. In 2010 Fredd Reyes was picked up as he was studying for exams at Guilford Technical Community College, and taken first to the North Georgia Detention Center, and then to the Stewart Center in Lumpkin, Georgia. Reyes' parents had fled the massacres of Guatemala's counterinsurgency war. In the 1980s, President Ronald Reagan gave guns to that country's military, which were used against indigenous communities seeking social justice. DREAM Act students understood why Reyes was in the U.S.—what “through no fault of their own” meant in a Qanjobal town in the Guatemalan highlands. They mobilized and eventually helped spring him loose. Jennifer Abreu came to the U.S. with her parents when she was 13. She graduated from Lafayette High School in Lexington, Kentucky, where she became an activist. She performed Brazilian and Colombian dances at fiestas and dreamt of life as a journalist. After ICE picked her up, a campaign by DREAM Act students and supporters set her free too. Ultimately, the big achievement of the DREAMers was the decision by President Obama to issue the DACA executive order in 2012, deferring the deportation of young people. Many activists in the movement credited this to a decision to sit in at his Chicago office at the height of that year's election campaign. Yet one single action, dramatic and well-timed as it was, would never have been powerful enough alone to win an executive order. The deportation defense movement not only saved activists who played important roles, but it produced the political pressure to find a way to slow down the detention/deportation juggernaut. That pressure did not end with DACA. By 2014, it was powerful enough to force another executive order, DAPA, despite President Obama's claim to Ju Hong that he couldn't act. The DREAMers’ deportation defense tactics, and their use of civil disobedience, had spread well beyond their own ranks. In a wave of activity around the country, community and labor activists, and deportees themselves, refused to quietly endure increased immigration enforcement. Hundreds of people inside the Tacoma Detention Center launched a hunger strike against its private operator, Geo Corporation, demanding better conditions and a moratorium on deportations. Activists, who had held vigils outside the center for years, gathered every day to support those inside. The strike spread to another Geo prison in Texas. According to Maru Mora Villapando of Latino Advocacy in Tacoma, in both locations the company isolated the strikers and in Tacoma threatened to force-feed them. In Tucson, San Francisco, Phoenix, Chicago and other cities, people sat down in front of ICE buses and vans, and chained themselves to vehicles, to block deportations. In Tucson, they stopped the Operation Streamline anti-immigrant court, which every day sentences dozens of young border crossers, brought before a judge in chains, to months in prison. This wave of activity not only demanded a moratorium on deportations—it also exposed the cost of the failure of the Washington, D.C.-based comprehensive immigration reform strategy advocated by beltway groups. Even though Congress was paralyzed and unable to pass any legalization program for the undocumented, the enforcement and contract labor programs contained in the big comprehensive reform bills were implemented anyway. The U.S. now spends more money on immigration enforcement, including the notorious Operation Streamline courts, than all other Federal law enforcement programs combined. And while enforcement against border crossers and the undocumented has grown exponentially, the number of guest workers brought to the U.S. by corporations and labor contractors, at low wages and with reduced labor rights, is also expanding. One report, Visas, Inc. puts the annual number at 900.000. Meanwhile, the administration insists on a new trade treaty, the Trans Pacific Partnership (the text of which was released on November 5), guaranteed to cause more poverty in other countries, leading to yet more undocumented migration. Neither Congress nor the administration have discussed this impact. That's hardly a surprise, since a debate would reveal that NAFTA, adopted 23 years ago, led to the forced migration of 8 million people from Mexico. Most DREAMers view their movement as part of a larger struggle for a more basic reform of the country's immigration laws. Twelve million undocumented people live in the U.S., and most of them work for a living. Students not only need to stay in school, but then need the ability to work and use their education after graduation. Their parents need the same right, not just to pay for students' schooling, but for the survival of their families. The DREAMers have shown that fighting detention and deportation is not only possible but the first step towards winning deeper changes. As they've marched and demonstrated, they've pointed out over and over that stopping the enforcement wave and changing immigration law are so connected that one can't be fought without fighting for the other. In the end, the basic requirement for both is the same: a social movement of millions of people, willing to take to the streets and the halls of Congress. In other words the illegals admit that they are invading ("our way of fighting back"). That means they should be removed using any means necessary. "...Jeff Denham, a right-wing Republican Congressman..."
But it isn't the fault of Americans who did not want their country flooded with foreigners and turned in to a foreign country. The scales need to tip to those who did things legally and stop rewarding lawlessness are you are going to get a good deal more of it.